Waukesha County Carpet Cleaning - Heaven's Best - Dry in 1 Hour! Trust our courteous, uniformed professionals to remove dirt and stains. On-time appointments, no hidden fees. Request a free estimate today! Heaven's Best is your locally owned and operated carpet cleaning company. We serve all of Waukesha County, including New Berlin, Menomonee Falls, Brookfield, Pewaukee, Muskego, and more! We are recipients of the HomeAdvisor Elite Service award, People Love Us On Yelp award, and Thumbtack.com Best of 2015, 2016, and 2017 awards for our outstanding commitment to customer service. BBB accredited. With our low moisture process, we ensure your carpets are dry in only 1 hour! You also get a firm appointment time - not a 3 hour window. Our prompt, courteous technicians are here to serve you. Count on Heaven's Best Carpet Cleaning Waukesha WI for cleaning carpets, hardwood, tile & grout, upholstery, and more. We take pride in our work and want to get the job done right the first time, every time. Every carpet cleaning appointment includes: vacuuming, pretreatment, cleaning, and deodorizing. NO HIDDEN FEES. Rest assured, we won't try to upsell you for services that are necessary to do the job properly. Heaven's Best uses a low-moisture carpet cleaning process that removes dirt, stains, and more. Plus, your carpet will be dry in just 1 hour! We always include vacuuming, pretreatment, and deodorizing so you won't be surprised with a big bill after we're done. You may clean your carpets once a year, but when's the last time your upholstery was refreshed? You'll be surprised at how much soil we can remove with our powerful upholstery cleaning process. Microfiber to linen to leather furniture - we offer solutions for all fabrics. Tired of those grimy, discolored grout lines? Don't spend the day scrubbing floors on your hands and knees. Our cleaning solution breaks down dirt stuck deep in the grout lines and on the face of your tile. Need it sealed? We offer grout sealing, too! Even hardwood floors need professional cleaning from time to time. Protect your investment with our Heaven's Best hardwood floor cleaning process. We remove dirt, grime, and scuff marks, while leaving your floors shining! Call for a free estimate today. Did you know we clean area rugs? Yes, even expensive Persian and Oriental rugs. Our technicians are trained to handle area rugs with care, applying only the rug cleaning solutions that are appropriate for your rug fibers to gently remove dirt and stains. We love our pets just as much as you do! But sometimes they make a mess or leave a stink. No worries - Heaven's Best offers powerful pet enzyme treatments and deodorizers. Have a fresh stain? Call Heaven's Best before you try another product. We can help save your carpet. Dirt & Stains Removed - Like Magic! Yes, these are real photos from jobs Heaven's Best Carpet Cleaning Waukesha WI has performed. Can't believe your eyes? Sometimes our customers can't either. That's ok - the proof is in the results we deliver every day for our valued customers. Let's be honest - not every carpet can be saved. But we work hard to deliver consistently high satisfaction with outstanding results. That's why we include things like vacuuming and pretreatment to get the job done right every time (instead of charging extra for the basics like some of our competitors). We hear incredible feedback every day from our customers. There is a reason customers choose Heaven's Best time and time again. Once you've experienced our easy, frictionless process from appointment setting to cleaning to payment, you'll be a customer for life. Nobody wants to interrupt their life for something as boring as carpet cleaning. That's they customers call us - we make it easy! Book a firm, scheduled appointment. Know your price up front. We arrive, work to clean your carpets & upholstery quietly, quickly, and efficiently. Once we're gone (and your stains are gone, too! ), just wait 1 hour for your carpets to dry! That's it. Simple. If you want excellent service and more importantly stellar results, call Heaven's Best. I was blown away last year when they cleaned my sister's very filthy carpet; I could not believe the results, absolutely fabulous. I called him again for a job at my rental (10/2017). I was just shocked, amazed how clean his crew got my 30 plus year old carpet on the stairs. I had them cleaned in the past, and you couldn't tell their was attempt. So, if you want a job well done, call Heaven's Best, you will not be disappointed. Just great all-around! Great communication prior to service date. He was prompt and arrived at set time. He worked very hard and was extremely thorough. I will recommend his service to others and definitely will use again in the future. Also, carpeting was dry in little over an hour and couldn't beat the price. Lucas and Jarvis were just great! The carpeting is so clean, and smells great, too. I was very pleased with the two gentlemen that came and did the rooms They were both patient and courteous and in my opinion professional. 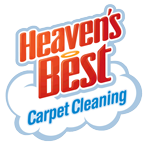 Had our 2nd cleaning w/ Heaven's Best this weekend and once again, they offered over-the-top, exceptional service with carpets that were dry w/in an hour. 100% outstanding service. We will absolutely use them again in the future. Incredibly well done. Thank you so very much. My carpets look great! And so does the futon!! I will recommend you as often as I can!! Thank you so very much!! I had my couch cleaned and Heaven's Best did a good job! Very friendly! However, after the couch dried there were some stain spots left. Heaven's Best came back and touched up the couch looks new! Very satisfied with service! Everything was amazing! Best carpet cleaning ever!! Reuben and Walter were very professional. The carpets looked 10 times better than before. Thanks again for cleaning my carpets. Price and communication in setting up the appointment. Thank you! Very nice job, carpets look great. No more pet smells either. The techs were very helpful and friendly and they were done very quick. Great job! Owner Reuben directly involved, very responsive and flexible, competitive price, first hand on-site supervision. Highly recommend! Fast, great, friendly service! Looking forward to making another appt in the future. Includes vacuuming, pre-treatment, stain removal, mild deodorizer, and stain protector. Pet enzyme treatment, specialty stain removal, and strong deodorizer available for additional fees. Includes vacuuming, pre-treatment, stain removal, and mild deodorizer. Pet enzyme treatment, specialty stain removal, and strong deodorizer available for additional fees. Includes vacuuming, pre-treatment, stain removal, mild deodorizer, and Heaven's Best stain protector. Pet enzyme treatment, specialty stain removal, and strong deodorizer available for additional fees. 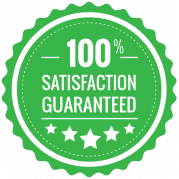 If for any reason you are not completely happy with our service, call us and we will work to meet your needs. We want to work with you to ensure your satisfaction. I'm Reuben Rock, owner of Heaven's Best Carpet Cleaning in Waukesha County. 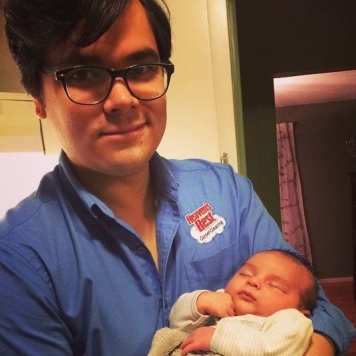 My wife and I moved to the area in 2014 to start a family and a business to serve the community. That's how Heaven's Best was born! 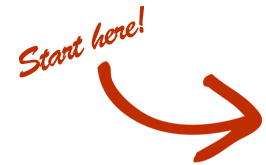 Ready to Hire My Company? Call Us! "Yes, I Would Like A Free Estimate From Heaven's Best Carpet Cleaning!" Please read these Terms of Service ("Terms", "Terms of Service") carefully before using the http://heavensbestwaukesha.com website (the "Service") operated by Heaven's Best Carpet Cleaning Waukesha WI ("us", "we", or "our"). By accessing or using the Service you agree to be bound by these Terms. If you disagree with any part of the terms then you may not access the Service. Terms of Service for Heaven's Best Carpet Cleaning Waukesha WI based on the Terms of Service example from TermsFeed. Our Service may contain links to third-party web sites or services that are not owned or controlled by Heaven's Best Carpet Cleaning Waukesha WI. Heaven's Best Carpet Cleaning Waukesha WI has no control over, and assumes no responsibility for, the content, privacy policies, or practices of any third party web sites or services. You further acknowledge and agree that Heaven's Best Carpet Cleaning Waukesha WI shall not be responsible or liable, directly or indirectly, for any damage or loss caused or alleged to be caused by or in connection with use of or reliance on any such content, goods or services available on or through any such web sites or services. If at any time you would like to unsubscribe from receiving future emails, you can email us at r.rock@heavensbest.com and we will promptly remove you from ALL correspondence. © 2017, Heaven's Best Carpet Cleaning.